Anyways, I got this recipe from my sister, Cassie, who found it on the blog: Kitchenography--Life in My Kitchen. Click here for the recipe. I made it yesterday for Thanksgiving and I loved it! I thought it would still be great for Christmas, so I'm passing it along. Oh, BTW, Cassie and I served it with homemade whipped cream. Yumm! The author of Kitchenography--Life in My Kitchen said, "This cake comes from the LA Times Food Section via 'The Best American Recipes 2001-2002', a wonderfully curated collection of recipes series that I find are among my most used cookbooks. The Los Angeles Times does a yearly list of the food section staff's favorite recipes of the year, and this one was a unanimous winner." I made it too, and it turned out so pretty. Loved it! And loved the story about your sleep-over...that would totally be me. I hate it when I can't sleep because my mind won't shut off! I'm going to try and get up Christmas today...we'll see if it happens. :) P.S. Love the jingle bells-so cute! Yay, I am glad that you loved it! Yum, Yum. 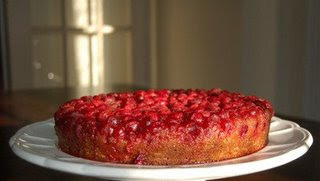 I made cranberry pie for T-day, that was great, too! I'll have to change my settings and list that recipe,too! Love ya and missed you guys, too! You never cease to amaze me.....endless amounts of energy and talent. I'm definately going to give the recipe a try. Thank you for passing it on. Make sure that you get your cranberries now! For a couple years in a row I've gone to get cranberries but forgotten that cranberries go out of season shortly after Thanksgiving. Glad you liked the recipe! I had some cranberry pie tonight. That recipe is so good, too! Utah - The best snow on earth!